Maryland continues to hover toward the bottom of rankings by a nonprofit organization evaluating state road systems, but the State Highway Administration continues to take issue with the ranking methodology. 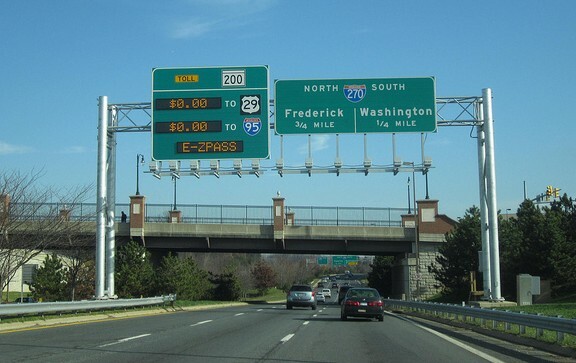 The free-market oriented Reason Foundation ranked Maryland 39th in overall highway performance and cost-effectiveness in its 21st annual rankings, drawing data mostly from 2012. The state’s worst ranking was 48th in interstate congestion but it ranked highly (10th) for low fatality rate. The state was ranked a similar 38th and 40th overall in reports issued by the Reason Foundation the last two years, respectively. States ranked in the Top 10 were overwhelmingly rural; the report notes that limited congestion helps those states rank well, but that several states with big urban areas did well, such as Texas at No. 11. David Buck, spokesman for the Maryland State Highway Administration, said the report used all roads and bridges in Maryland even though the state does not maintain all of them. SHA owns and maintains about 50% of bridges and only 30% of roads, he said. He also said that the report favors rural states with less traffic on roads, which also require less maintenance than urban roads. The report ranked Wyoming at No. 1, followed by Nebraska and South Dakota. The report is based on spending and performance data submitted by state highway agencies to the federal government. It found that Maryland ranked 45th in total disbursements per mile and 48th in maintenance disbursements per mile for 2012. Because several agencies are included in the report’s data, the report itself said that it should not be viewed as a cost-effectiveness study of state highway departments. Instead, it gives an assessment of the state as a whole, it states. Maryland would have ranked much higher for spending per mile if the report had based its calculations on vehicle miles traveled, which is the number of miles drivers travel over a stretch of roadway, Buck said. For instance, 2010 rankings would have shifted from 44th for total spending to 22nd if calculated based on vehicle miles traveled. One area that the state is working on aggressively is deficient bridges, where the report ranked Maryland 33rd. In the last five years, SHA has reduced structurally deficient bridges by more than 30 percent, Buck said. And funding for bridge repair has increased each of the past five years, to more than $175 million in fiscal 2014. With added funding from a gas tax hike last year, “Maryland is investing $4.4 billion in highways and transit during the next six years that will not only improve infrastructure, but create 57,200 jobs,” Buck said. The report was written by David T. Hartgen, a senior fellow at the Reason Foundation who holds a PhD and P.E. and heads The Hartgen Group, a transportation planning consulting company. He previously established the Center for Interdisciplinary Transportation Studies. The report lists Maryland as one of the six states with most congested roadways, finding that more than half — 56% — of its freeways were congested during peak periods, based on 2011 congestion data from the Texas A&M Transportation Institute. Other highly congested states included Florida, Hawaii, Illinois and California. Despite the congestion, Maryland ranked low in fatalities. State officials praise Maryland’s superior highway system, but the Reason Foundation just ranked it as one of the nation’s worst. According to the libertarian policy group’s annual highway report, released earlier this month, Maryland’s roads come in 43rd place – followed only by Massachusetts, New Jersey, New York, Hawaii, California, Alaska, and Rhode Island.